No matter how the college brochures and website make the program seem like a perfect fit, it is during the visit where you get a true sense of the environment and can imagine yourself in that place. There are a number of ways to visit a college, the two most common are at an Open House or scheduling a Personal Tour. and think about new techniques that will help you to push beyond your comfort zone. If during your visit you can envision yourself at the college, you may submit an application- PCA&D waives the application fee at open house! Register for the next Open House, September 19! Personal Tour. Some students and families prefer a more intimate college visit. You can connect with the Admissions Office to schedule a personal tour which is often a one on one appointment. Your tour guide will lead you throughout the college building and share details about the programs the college offers, the artwork on the walls, school events, student life, living in the area and admissions requirements. The personal tour provides you with the opportunity to interact with your guide, ask a lot of questions, absorb the information and take in your surroundings. 1. Ask questions. I love it when students come prepared with questions. That certainly helps them get the most of their visit, and allows the student to get the information needed to make informed decisions in the future. Go beyond the questions about class size (at PCA&D it’s 15 or fewer) and curriculum (check out PCA&D’s here ). Ask about the admissions process. You’ll soon find out that there are differences among art colleges, liberal arts schools, state universities, etc. 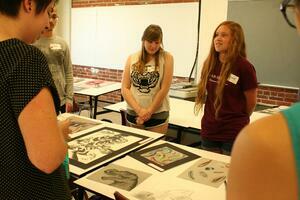 Visual art schools tend to have a similar process and ask a student to submit a portfolio. However, pay careful attention as each school looks for different things in a portfolio and may have specific requirements.Here are PCA&D's admissions requirements. Ask about deadlines. Make sure to know and understand and meet the deadlines. Here at PCA&D, the portfolio review doesn’t need to be done when you submit your application. We operate on rolling admission, but I encourage everyone—the earlier the better! Ask about student housing. 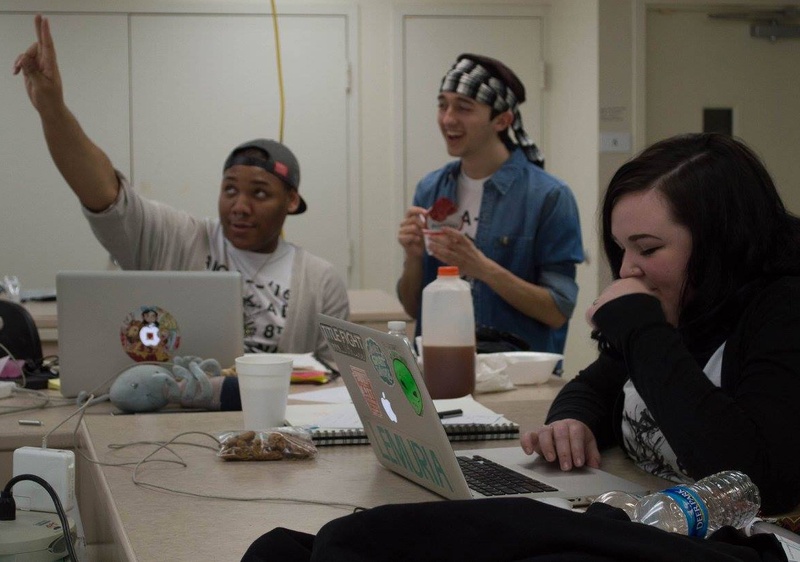 PCA&D has independent living arrangements, and our students grow through this experience. PCA&D has a variety of options to consider from our Steinman Lofts, exclusive house for our students, to roommate meet and greet events and help locating nearby apartments. 3. Talk to the faculty and the students. If you visit during the school year or at an open house, ask the faculty some questions to learn about their classroom approach and their professional experience as an artist. Talk to the student ambassadors, to learn their perspective of life on campus. This will help you get a feel of a normal day and get a sense of a studio class experience. Also, follow the college on FaceBook, Twitter or Instagram to get a sense of what's happening. You'll be able to imagine yourself there! 4. Observe your surroundings. Can you see yourself there, learning and thriving in that environment? Notice the artwork on the walls. Does it excite you or challenge you? How do you see creating art like that fit into your ultimate goals? Over the course of your time at an art school, you will be learning and experimenting with new media and perfecting the techniques you see exhibited. Get a sense of the place where the school is located. 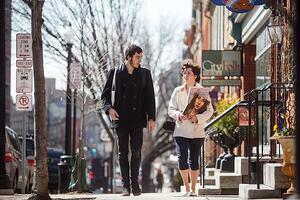 Lancaster is truly a city, not just farmland, and has a thriving and growing arts community. 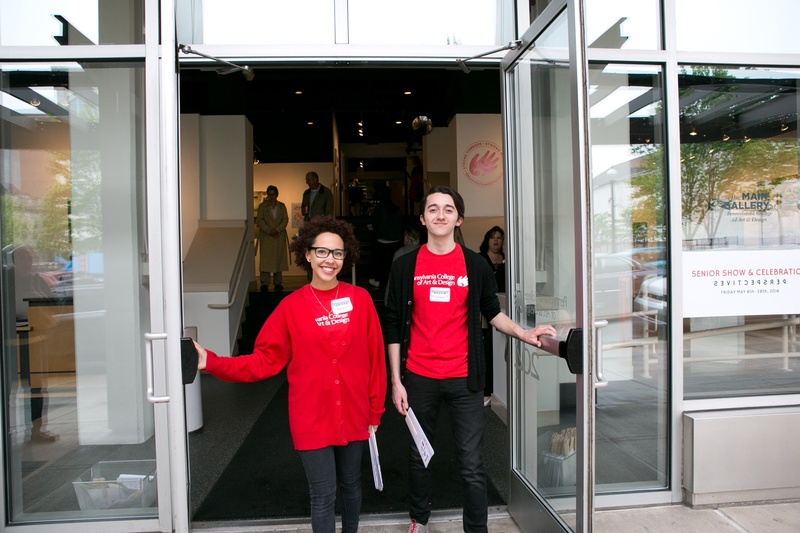 Lancaster’s vibrant and welcoming art community helps our students form relationships with gallery owners, and link with other avenues to further their art. 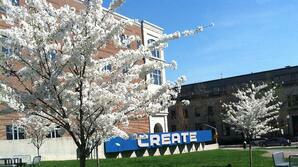 Lancaster City is really an extension of the PCA&D campus because of all the resources available to our students. Lancaster is also close to all the major cities in the NorthEast. Personally, I grew up in Chester County, so when I was looking where to study art, I first checked out the schools in Philly. Once I got to the campuses, however, I quickly realized that that large city environment was not for me. I felt overwhelmed. 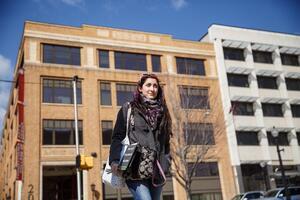 When I visited Pennsylvania College of Art & Design, I realized that I could thrive in its visual arts community. Not only is Lancaster a smaller city, but PCA&D’s size makes it a close knit community. 5. Check out and compare different schools. I always ask my visiting students if they’ve checked out other schools. It’s important to scope out different schools and different types of schools, absorb the atmosphere and take notes as well as snap some photos, so you can make informed decisions about the best place for you to study art. One more tip: Consider traveling by train as you plan your college visits. Amtrak offers special discounts to juniors and seniors in high school when looking at colleges, and this makes it so easy to visit PCA&D. Amtrak's buy one ticket get one 50% off offer is an affordable option that is convenient to many locations. Lancaster's train station is about a mile from PCA&D and the Red Rose trolley can pick you up and drop you off within half a block of the college (Prince & Chestnut streets) for a small cost. Nicole Duquette is one of PCA&D’s admissions counselors. Nicole grew up in Chester County, Pennsylvania and received her Bachelor of Fine Art degree in Illustration from Pennsylvania College of Art & Design. 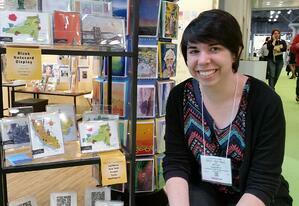 She now calls Lancaster City home and loves to share in the creative energy found downtown. Never found without a mechanical pencil, a fine tipped in pen or a piece of paper, Nicole’s light-hearted designs always begin by hand before transforming digitally. Currently she licenses her hand drawn creations, sells prints and stationery nationwide and works one on one with clients to meet their creative needs.